Where the season never ends! 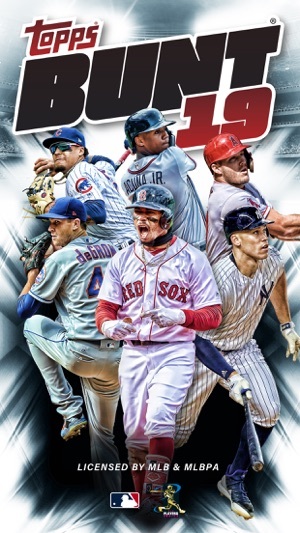 Topps, the classic sports card and memorabilia company brings you Topps MLB BUNT '19! This free digital trading card app continues the legacy of collecting & trading baseball cards with fans around the world! Play your card collection in real-time scoring contests, win cards in baseball mini-games, or upgrade your collection in Card Fusion! • NEW cards released every day! • Collect your favorite players, both past and present – from the 1950's to active rosters! 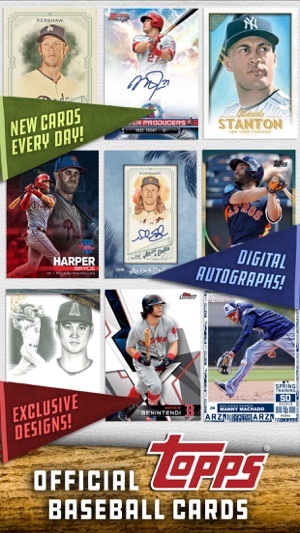 • Dynamic card products: base cards, original artwork, classic Topps sets, digital autographs, and more! BRING YOUR COLLECTION TO LIFE! 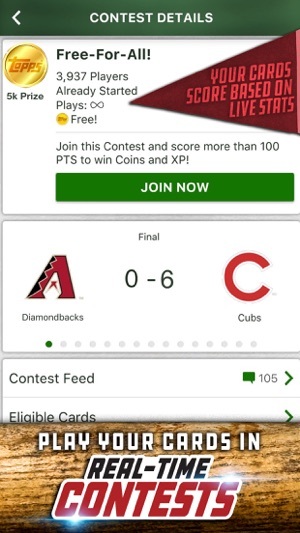 • Watch LIVE MLB games and compete in free, real-time scoring contests against fans around the world! • Set your ultimate lineup of BUNT® player cards to win points, awards, prizes and more! 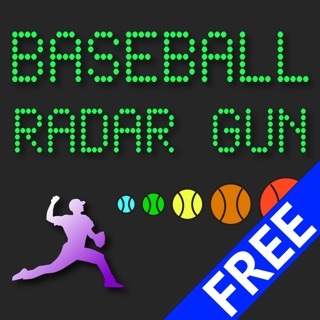 • Player cards reflect real-time MLB action – they score…you score! • Collect and PLAY cards that have BOOSTS to super-charge your lineups! 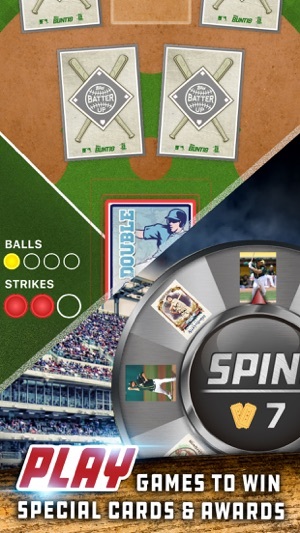 • PLAY "Batter Up' to win coins, inserts and more + SPIN the Card Wheel & win something every time! 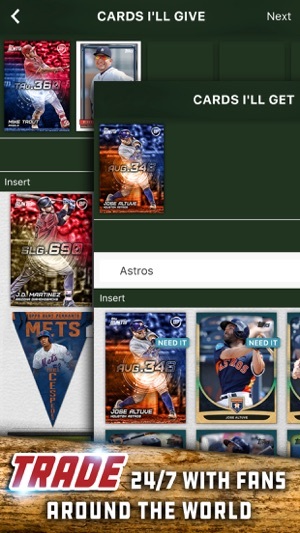 • Trade-in duplicate cards in Card Fusion to unlock rarer variants & parallels. BECOME PART OF BUNT NATION! • Propose trades 24/7 and chat with the best community of baseball card collectors in the world! • Level up and earn experience points (XP's) by winning contests, opening packs, and completing sets. • Earn VIP status to unlock special packs, early-access to release info, and more! Stay tuned with all of the game day action and newest card releases! I like this game, even though I tend to miss out on the better cards. I like collecting digital cards, but I don’t want to pay real money for cards made only of pixels. So I trade for some better cards, and miss out on most. But the game itself is fun. Playing the free contests can get you some good cards. And the Prize Wheel May get you some. But I really like to play the Batter Up game, though I lose a lot. It’s an exercise in gambling-try to get money but if you are too greedy you may strike out. You need to learn when to walk off. I like the cards I (rarely) win in Batter Up. I also like fusing cards, except I can’t fuse to get any specific player card. But the critics of this app don’t seem to realize the idea of making an app is to make money. Thus, you pay if you want the best cards. I do ok without paying much real money. And the cards are just digital anyway. I don’t get why critics get so negative-no one forces them to pay to play. It’s only a game, and if you love collecting cards and opening packs, it’s fun. Good cards are rare in physical form, and actually Topps likely wants to sell those more than digital cards. I do pay money for physical cards because I get something real. And I still like the game with all its faults. Update: When they said there was nothing they could do and no timeline as to when this would be resolved I then let them know I deleted the app and will be posting a negative review. Somehow then they emailed back problem was resolved. Still horrible customer service as this is something that could have easily been done right away. Increasing star review to 2 star though until they can figure out how to set this up so you can register under an email and a password and log in on multiple devices to take your collection anywhere. This may stop people from getting multiple accounts! This whole linking problem is why people might use a second email to create an account! Original Post: This app development is horrible. I had to reinstall the app once and it would not let me log in saying it was already linked to my device. They were able to unlink things so I could sign back in. Yesterday I found I had a virus on my phone and had to do a factory reset. They now tell me they can not unlink again because I had too many unlink requests. This makes NO sense to me! Why can't they just figure out like every other app does where you sign in with your email and can do that with any device?! Needless to say I deleted this app due to this. I only use the Bunt App made by Topps, but I’ve heard similar stories across all Topps apps (SWCT, Huddle, Kick, Slam, etc). Topps uses deceitful and unethical sales practices, for example they may or may not tell you something is sold out in a pack before letting you purchase it (just 2 days ago there was a $70 Pack in Bunt called Black Ice and Topps mislead buyers by saying they had a chance at a number of cards, including 1/1 signatures, 25 card counts and 35 card count limiteds... when in reality only 75 card count limiteds were left - sounds minor, but on the secondary market the value of a 1/1 Signature is $200-$300 whereas a 75 card count limited is less than $20, so why would someone spend $70 on a pack if there was zero chance of getting a valuable card)... other times they have forgotten about awards, changed contest settings (they disallowed any series 1 or 2 cards for the postseason even though many people, including myself, spent a significant amount of money on those cards in preparation for the postseason contest), and my favorite, forgotten to put the proper insert cards in packs, or mislisting what was in packs. I honestly don’t know how or why either Apple or MLB allows Topps to operate the Bunt App, it’s run poorly, they lie, cheat, and steal, and they rarely make things right when they do mess up. © 2019, The Topps Company, Inc.